Chocolate Zombie Easter Bunnies are here and its the perfect time of the year to go out and buy this, especially for Easter. These will sure be hit any any family gathering, or maybe just scare the crap out of you kids or make them say to their friends, “My parents are weird”. This tasty delites will keep the kids or maybe even the parents, or friends, wired for hours on end and will make you act like a zombie….well maybe just a person high on sugar. The chocolate zombie Easter bunnies are also great for a gag gift and can be easily passed on to in-laws, or those brothers and sisters that just simply annoy you. You can get some easy revenge with this yummy little zombie Easter bunny and keep the kids running for their life. These cute little Chocolate Zombie Easter Bunnies are available at Think Geek, and they are about $15 bucks for wonderful box of chocolate horror. The chocolate zombie Easter bunnies are made from solid white chocolate and is 8 ounces of little zombie horror. 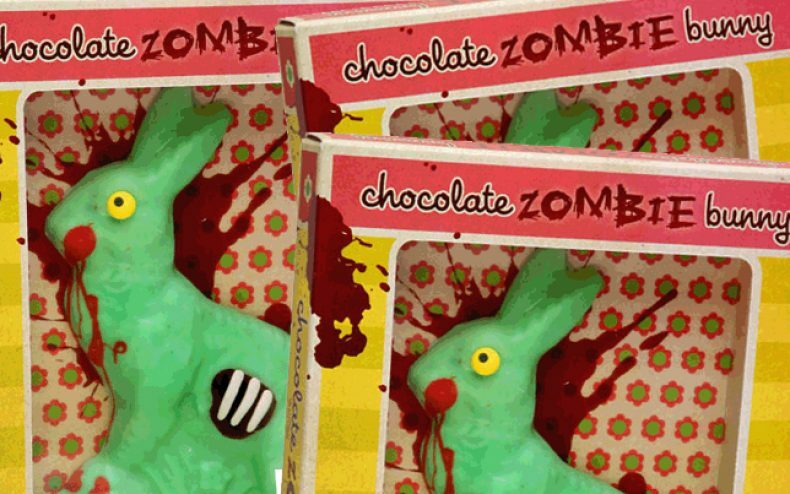 The Chocolate Zombie Easter Bunnies are featured with blood running from the face, a nice blood splatter in the back of the box and their rib cage showing through. 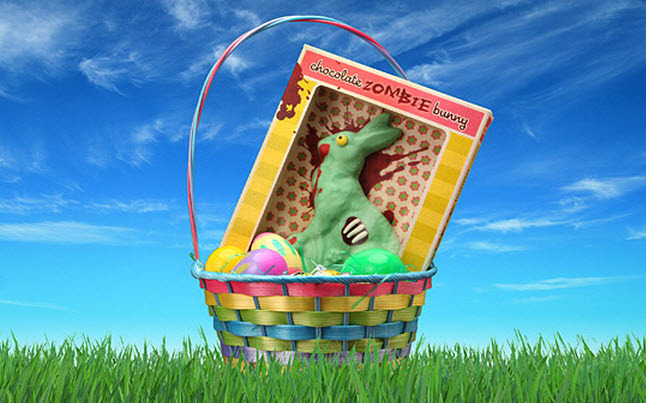 While these may not infect you with the zombie virus, they will infect your household with lots of laughs or cries and goes with any type Easter egg hunt prize. You may still have time to get out and buy these Easter treats today, if not, then you can always think about next time as Chocolate Zombie Easter Bunnies will definitely be a winner in any holiday.